Deconstructing the world one essay at a time. In honor of Banned Books Week, I invite you to consider and analyze your literary tastes. Ask yourself how you developed that taste, cherish it, but also challenge yourself to read or listen to something different. You have no idea how liberating it is to drop all shackled labels and just absorb it all! If you find that you do not like something, then at least try to understand that it is YOUR taste, and that your taste is not the universal standard. 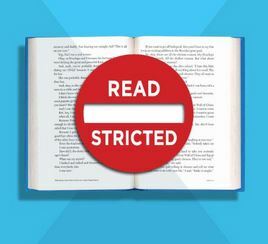 It’s easy to read books that were once “banned” and are now the “cool thing”– but how about reading something that your culture considers “uncool,” “unpopular,” “too mainstream,” or none of the above? Even though I have always had a fascination for classic literature, in the past two or three years I have read more modern works than in any other time of my life. I have always been the type who prefers her books aged to perfection, but I have realized that I don’t want to be the type of person who locks herself up in one genre and disparages everything else. I have seen people who do that with other forms of art– how ugly and dumb they look when they condemn everything that is outside their taste. They have provided a model of everything I don’t want to be– an anti role model, if you will. Not that I have ever really been that way, even in my staunchest classical days, for I have always been one to apply a preference only to myself (and not set it as a universal standard). In fact, one time I even confused a GoodReads user because I gave one star to a book I spoke somewhat well of in my review. Indeed, I gave the book one star because it wasn’t truly to my taste. I feel one can dislike something on the basis that it doesn’t match one’s taste, but still try to appreciate what it is that others have liked. Since I actually took the time to read the whole book, I tried to extract as much of the “good” as I can. Hating and condemning a work of art is too reminiscent of the Inquisition and of people who just don’t get art. Therefore, while I judge it as a one star, I still wanted to leave it on a semi-neutral note. It seems ridiculous by modern standards, but to the majority who agreed to those notions in the past, it was just “common sense.” I wonder how many of the mainstream judgments we consider “common sense” today are merely assumptions that have become traditional parts of culture, so that questioning their truth is seen as ridiculous. Here’s a dare– try to step outside the box of cultural indoctrination for once! This entry was tagged banned books, banned books week. Bookmark the permalink.